Also available at e-PatternsCentral for $4.99. 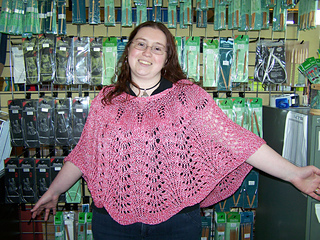 Feather & Fan, the easiest lace pattern ever, knit in heavier cotton yarn, makes a great lace poncho. 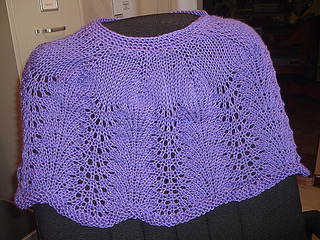 Since this is a lace pattern, the gauge is looser than normal for this weight of yarn.